The iTunes Store is packed full of goodies, from music to movies, apps to ebooks. But with the tens of millions of things for sale there, it's easy to overlook some of the Store's lesser-known or less-used features. For instance, did you know that the iTunes Store offers special bonus content for some albums, that you can get free digital copies of movies you buy on DVD/Blu-ray, and much more? Check out these 5 cool hidden features of the iTunes Store and make your digital entertainment experience richer. Complete My Album is a feature that lets iTunes Store users buy full albums at a discounted price when they have already bought one or more songs from that album. Complete My Album eliminates a situation that many purchasers of individual songs at the iTunes Store encountered. They might buy a single song for $0.99 and then want to purchase the full album. They would then have to either buy the individual songs on the album, usually for a final price higher than the standard $9.99 album price at iTunes, or re-purchase the song they had already bought. Either way, the customer was being penalized with higher prices for having originally purchased a single song. With Complete My Album, users who have purchased a single song from an album are be able to buy the full album for a discounted price based on the number of songs they've already purchased from that album. Complete my Album was introduced to the iTunes Store in March 2007. To see all the albums available to you through Complete My Album, click this link. Ever miss the good old days, when CDs came with extensive booklets full of notes, photos, and other bonus content? iTunes LP aims to bring back that experience in a modern, expanded-format available through the iTunes Store. ITunes LP takes the traditional iTunes Store offering — a collection of songs priced lower when bought as an album than them separately — and adds substantial additional content to the package. This can include bonus tracks, videos, PDFs, and more. Different iTunes LP packages contain different content — there is no standard set of bonus content. The same basic features used to create iTunes LPs are also used to create iTunes Extras, additional bonus content available with some movies sold at the iTunes Store. ITunes LPs were introduced in Sept. 2009 partly in an attempt to drive more full-album sales at iTunes. Prices for iTunes LPs range broadly, from US$7.99 to $24.99. The iTunes LP format was launched with a handful of albums from artists such as Bob Dylan, The Doors, and the Grateful Dead, but has since expanded to include hundreds of new and classic albums from across all genres. This is a slightly tricky one, since Apple has used the name iTunes Pass to refer to two separate features. The first, which is no longer used, was a way of providing fans of particular musicians and bands early access to bonus content about upcoming albums (despite the very similar name, an iTunes Pass was not the same thing as a Season Pass; it was for music only, while a Season Pass is a current feature for TV shows). 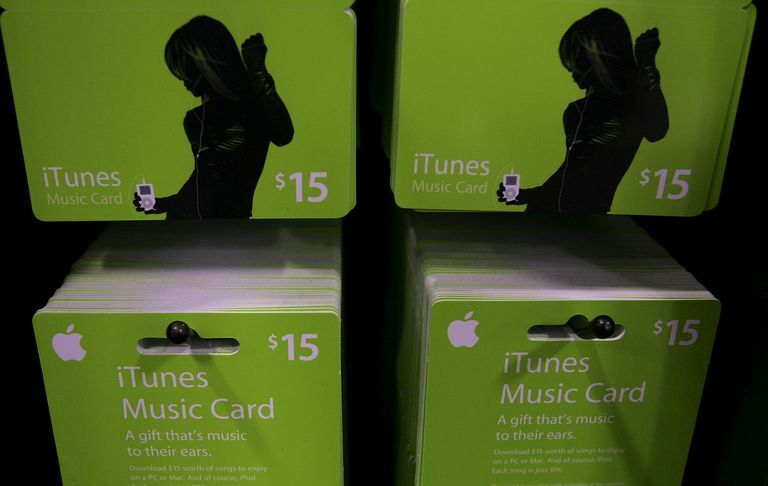 The original iTunes Pass feature was introduced in 2009 and quietly ended some time later. The current iTunes Pass feature has to do with how you add money to your Apple ID for use at the iTunes Store and employs Apple's Wallet app. Wallet (originally called Passbook) is an app that debuted in iOS 7 which allows you to store tickets, gift cards, and other transactional content from compatible apps in files called "cards." One card you can include in Wallet is an iTunes Gift Card-style file where you can add money to your iTunes account. Go to iTunes Store app on iOS device. On the home screen of the Music tab, swipe to the bottom where your Apple ID is displayed. Tap it. Tap View Apple ID (enter your Apple ID password if prompted). Swipe to the iTunes Pass section. Go to an Apple Store and ask an employee to help you add money to your account. If you go to the Wallet app, you'll now have an iTunes card that displays your current balance. This might not seem that useful — after all, you've probably already got a credit card on file in your account, so why do you need money — but it becomes very useful if someone else is giving you money. For instance, if you're a kid and your parents are giving you a gift of money to spend at iTunes, they can bring your phone to an Apple Store and add money via Wallet. It's also possible to share your iTunes Pass card via AirDrop with other people who can then give you money whenever they want (assuming they're in an Apple Store, of course. That's key). Tap the Share button at the bottom left of the card (it looks like a box with an arrow coming out of it) to give someone else the opportunity to fund your iTunes purchases. Just like different stereos and speakers can make the same songs sound slightly different, the software you use to listen to a digital song can influence what you hear. The Mastered for iTunes designation aims to highlight albums that have been produced to sound best when listened to using Apple products. This improved sound is accomplished when musicians and audio engineers use Apple-provided tools when recording new music or remastering old albums. The aim of these tools is to make music purchased from and listened to in iTunes "indistinguishable from the original master recordings," according to Apple, and thereby provide the best quality listening experience for users. While this may not be a selling point for all iTunes Store customers, if you're an audiophile, or want to really hear an artist's vision for their work, you may really enjoy albums Mastered for iTunes. iTunes Digital Copy is the name for an offering that lets customers who buy certain DVD/Blu-rays receive an iPhone- and iPad-compatible version of the movie that they are authorized to copy to their computer and iPad or iPhone. Originally, compatible DVDs would automatically copy the iTunes Digital Copy version of the movie into iTunes when the DVD was inserted into a computer and the code that came with the DVD was entered. The Digital Copy can be played on a computer or Apple TV, or synced to an iPhone, iPad, or iPod. Movies purchased on Blu-ray, which is not a Mac-compatible format, that offer a Digital Copy generally included a DVD with the Digital Copy on it. As bandwidth has increased and people have become more comfortable downloading large files like movies, the Digital Copy has migrated to a download. In this case, DVDs/Blu-rays that include a Digital Copy simply give the user a redemption code. When the user enters that redemption code at the iTunes Store, the movie is added to their iTunes/iCloud account as if it were a new purchase. The offering is designed to sidestep concerns about digital rights management and ripping DVDs, while not charging consumers twice for the same movie (a DVD version and an iTunes version). To redeem and download your iTunes Digital Copy from iTunes, click on this link, log into your Apple ID, and enter the redemption code that came with the DVD/Blu-ray. Each iTunes Digital Copy-compatible DVD can copy the movie to a computer only once if it only offers a redemption code. Digital Copies available on DVD can usually be copied multiple times. You must have an iTunes account for the country in which the Digital Copy is designed to be used (that is, if the Digital Copy is for use in the U.S., you must have a U.S. iTunes account). Introduced: Jan. 15, 2008, in conjunction with the iTunes Movie Rental service.